What have you got in your drawers? A bit of a change this time around. 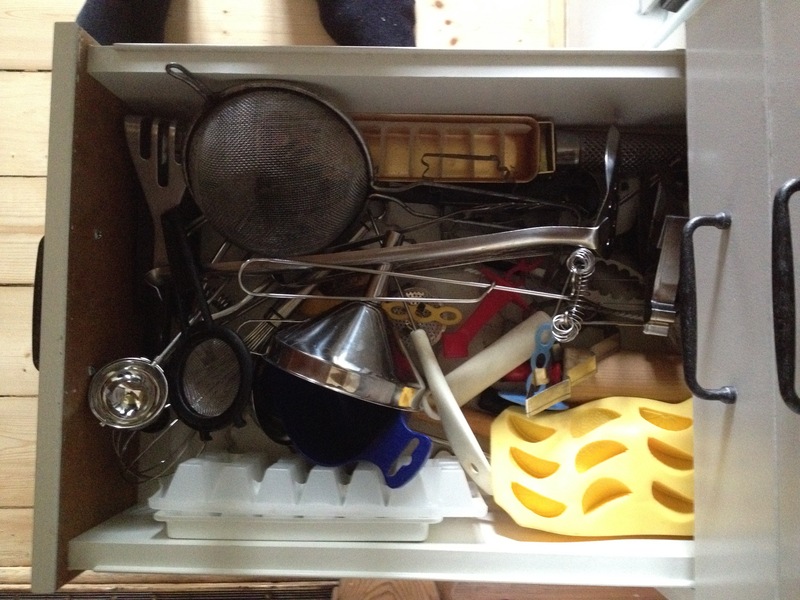 Instead of drawings, I’m focusing on drawers (giggle giggle giggle!). No, wait! I don’t mean that kind of drawers. I’m specifically referring to your KITCHEN drawers.The ones where you keep all your cutlery, and more importantly – your kitchen utensils. This was inspired by an article I read recently in a Swedish food magazine. It was written by a culinary historian who said he could tell everything about a person’s character by the stuff they had in their kitchen drawers. Nothing specially enlightening about that. All neat and tidy. We like Chinese food every now and then, but otherwise…nothing weird going on here! 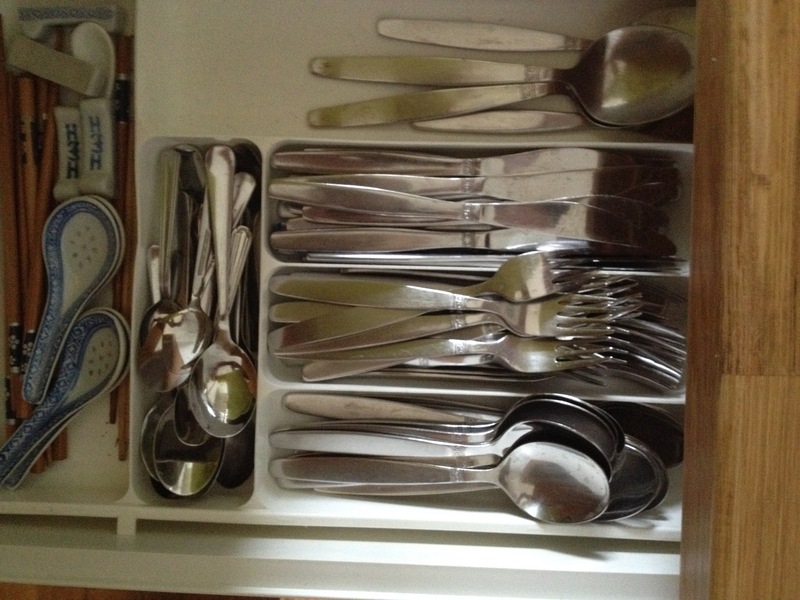 But, take a look at the utensil drawer! Chaos! How about yours? What have you got in your drawers?